Unlike India, which has a tax slab system based on income, Russia has a flat income tax rate of 13 percent. In contrast with its BRIC partners, Russia has a flat rate income tax. No matter how much money you make, you’ll pay a flat 13 percent. There are four main taxes that Russians pay. In addition to the personal income tax, there are also taxes on company profit and value that has been added (a tax called NDS, which is analogous to the VAT), as well as a very specific tax on the extraction of mineral resources (MET). In addition, companies must pay insurance premiums on the payment of wages – contributions to social security. All of these key taxes have lower rates in Russia than in Europe. The main indirect tax, NDS, which replaces sales tax, is 18 percent. For comparison, VAT in Europe fluctuates in the region of 21-25 percent. However, this is still much higher than sales taxes in the United States, which are generally less than 10 percent. Corporate income tax is an even 20 percent, while in Europe is varies between approximately 25-35 percent. There are, however, favourable tax jurisdictions for companies in Europe such as Ireland and Cyprus, where the rate is only 12.5 percent. Moreover, some European countries, Estonia for instance, provide the opportunity to defer tax payment on profits until they are distributed; as long as the money remains within the company, taxes are not collected. This makes it possible to reinvest resources into the company. In Russia, similar tax preferences only exist for open-end funds. Finally, Russia has another specific tax – the tax on the extraction of mineral resources (NDPI or MET). All minerals extracted in Russia belong to the state, not to the landowner, as in the United States. Therefore, permission for their extraction must be obtained and then a special tax must be paid on them. The rate depends on the region as well as method of extraction. For example, during the global financial crisis, a “tax holiday” was instituted in some regions of Russia. At that time the mineral extraction tax was not collected at all. This situation was applied primarily in the area to the north of the Arctic Circle, on the continental shelf of the Azov and Caspian seas, on the Yamal Peninsula, and in the Yamalo-Nenets Administrative Okrug, where mineral extraction is the primary industry. Along with personal income tax, Russians pay land, property, and vehicle taxes. The property tax rate is from 0.1 to 2 percent and depends on the region. However, in general, it is a very insignificant rate as it depends on the inventory value of a dwelling, which is much lower than its market price. This is very different from the system in the United States, where property tax is based on the fair market value. The land tax rate is established by municipalities and is between 0.3 and 1.5 percent depending on the type of the parcel of land. In Europe, the property and transport taxes are higher and transport tax is graded depending on the environmental characteristics of an automobile. For example, in the Netherlands, vehicles with a compound engine are hardly taxed at all, and the state even reimburses a portion of their purchase price. In Russia, the transportation tax rate is established by regional authorities and the rates can vary greatly by region. In addition, in Russia, there are additional taxes on luxury goods. In particular, a list of luxury automobiles, those which cost more than 5,000,000 roubles (about $140,000), should be ready soon, and the owners of such vehicles will be required to pay taxes at a higher rate. Could the tax rate drop? 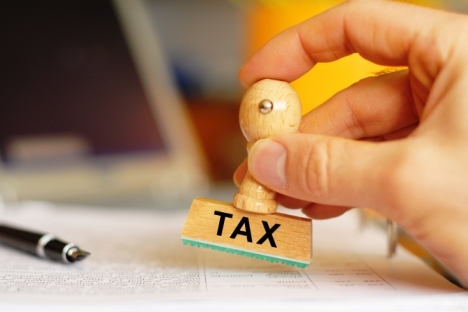 Two years ago, during the presidency of Dmitry Medvedev, there was considerable discussion of the issue of a possible lowering of the tax rate for businesses. The issue was tabled and Rustam Vakhitov does not see much hope of the discussion being revived. According to Vakhitov, at the moment it is not economically expedient to lower taxes in Russia considering the context of possible economic sanctions and the reduction of the growth of GDP. Vakhitov said that one discussion that should be taken up, however, is that of an improved system of tax collection. In Europe and the United States, the tax administration is tougher and tax authorities have a lot more power to verify the accuracy of information. “The problems are in administrating – those who pay must pay for themselves as well as for those who don’t pay. Collection must be improved. Then the additional amount gathered can lower taxes all around. The payments will grow by half and it will then be possible to lower the overall tax to some reasonable amount,” Vakhitov said. But foreigners looking to escape high income taxes by moving to Russia should note that income earned by foreigners is taxed at a flat 30 percent until the foreigner establishes tax residency, which is acquired by spending more than 182 days in Russia in a given calendar year.